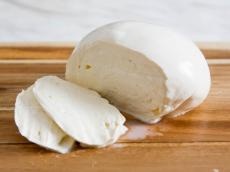 There are plans to establish production of the famous Italian mozzarella cheese in the Ujar district of Azerbaijan, deputy head of executive power of Azerbaijan’s Ujar district Vagif Mehdiyev told Trend Oct. 19. He said that preparatory work is underway at the plant: equipment is being installed, and a herd of cattle is being created. Mehdiyev noted that the plant is primarily aimed at meeting domestic demand, but in the future, if additional volumes are formed, exports will be established. The plant for the production of Italian mozzarella cheese will operate in the agriculture park in Ujar district, where 125 buffalo heads were delivered from Hungary. There are plans to process about two tons of milk daily at the plant.